Recently we suggested The Stand-Up as a way to run status meetings with remote teams. Of the four formats we listed, the stand-up is probably the most popular, but it’s also one of the most misunderstood meetings around. 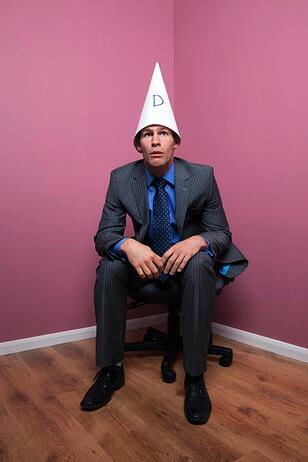 Today we’ll take a deeper look at the stand-up and the common-but-wrong ideas you may have heard about them. For anyone considering stand-ups for their team, and for those that tried stand-ups but never felt confident about how they worked, this article is for you. I attended my first stand-up meeting when I was working as part of a software development team in 2003. I remember how novel and efficient and enlightened we all felt, and the half-curious, half-envious looks we received from the customer support people who sat in drawn-out status meetings each week. 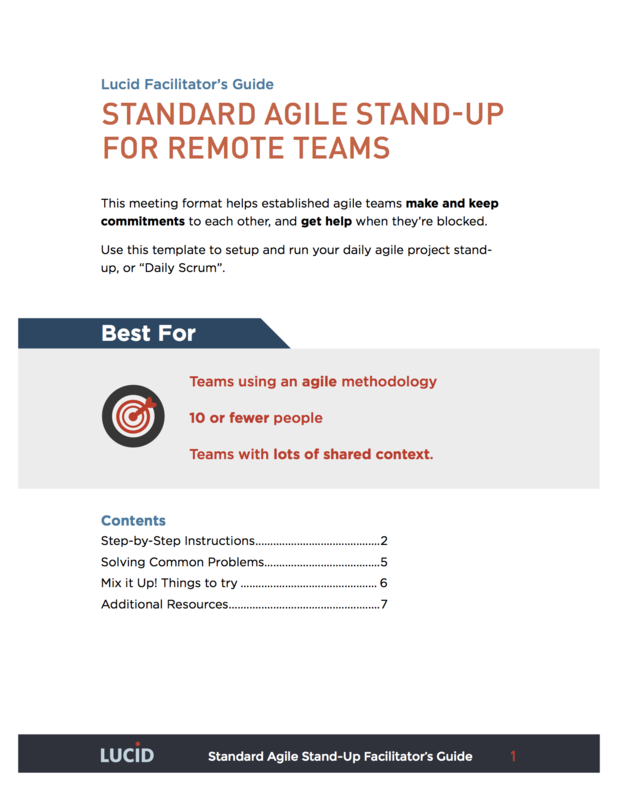 And if you run a search for daily stand-up today, you’ll see lots of results from software teams practicing some version of agile development, where regular stand-ups are a core practice. The popularity of agile development methods and the overwhelming noisiness of software people who blog (guilty as charged!) makes it seem like the stand-up was invented by and for software developers. Stand-ups are entirely old school and used today by teams across a wide variety of industries. UPS has held daily Pre-Work Communications Meetings (standing up) at the beginning of every shift since at least 1924. They use the stand-up to highlight any treacherous driving conditions that day. Nurses, contractors, restaurateurs and others often start each shift with a quick standing meeting. Ever seen a movie with the army generals quickly strategizing around the big map on the table? According to Allan Bluedorn and the Wall Street Journal, yes - those stand-ups happened. 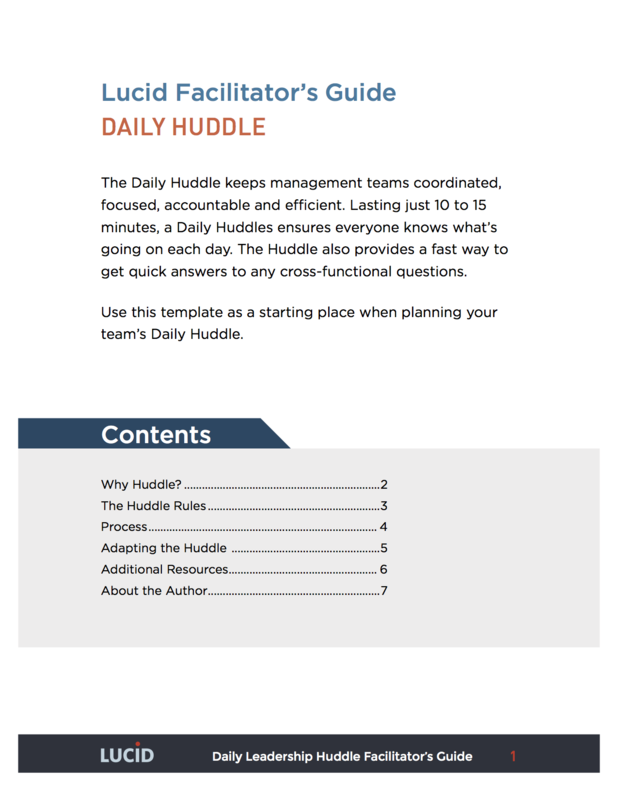 Marketing teams like the one at HubSpot call their stand-ups “lean huddles”. What else? More examples, please! Do you know how stand-ups run in other industries? Share your examples in the comments below and on Twitter to help someone else who reads this article see an example that fits their situation. Ok, this is definitely one of the reasons people give for switching to stand-ups. And for some teams, this is their only motivation, which is why they end up running awful stand-ups. The basic format of the stand-up includes reporting on work status, which can result in each person dutifully mumbling through a lackluster accounting of their previous day’s work. When you attend a status meeting that sounds eerily similar to what you hear when you ask a child each night if they’ve brushed their teeth before bed, you’re in one of these dreadful command-and-control style stand-ups. 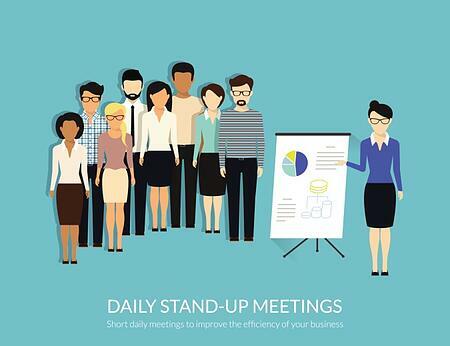 Yes, each individual stand-up meeting takes less time than a traditional status meeting. But most teams will run a stand-up every day, rather than just once a week like they would with a typical status meeting. This means that most teams using a stand-up actually spend MORE time meeting that those who only schedule one longer meeting each week. Stand-ups DO NOT solve the problem of spending too much time in meetings, and they are not simply a drop-in replacement for a status meeting. Instead, a good stand-up solves the problem of too much WASTED TIME in general. Time wasted trying to solve a problem by yourself that other people on the team can help solve faster. Time lost listening to long boring updates, as everyone tries to share a whole week’s worth of activity at once. Time spent working on something that’s no longer relevant, because you didn’t know the circumstances had changed. Stand-ups save time by helping teams find and fix problems quickly, and by making sure everyone always has the most recent and accurate information possible. Ah, the elusive panacea. This is a common misconception, especially for people getting started with one of the official Agile methodologies (SCRUM, XP, what have you). As part of making the switch, the leader typically finds a set of recommended practices and introduces the team to them as “the way”. You must have a stand-up every day, first thing in the morning. You must actually stand-up, as a group, in front of a whiteboard with sticky notes on it. You must get answers to the three standard questions from each person in turn. Schedule it frequently and consistently. Use it to surface issues, not for discussion. Beyond that, it’s important that your stand-up meets the team’s needs and matches the pace of the work. You may have heard the other approach called “walking the board”. 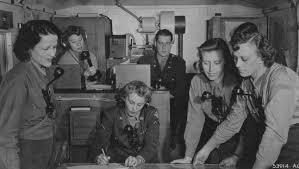 In this kind of stand-up, the team talks about each item on the work list in order, identifying those that are on target, and those that need the help of the team to meet the goal. Exactly how the team does this completely depends on how they’ve organized their work. I’ve worked with teams that literally move the stickies around on the whiteboard, teams that do the digital equivalent using Trello or some other online system, and with those that simply maintain a list of the big projects underway that they talk through. 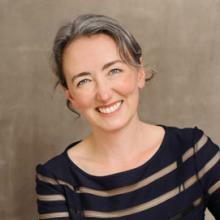 Our friend Megan Notarte at Cloud Four wrote an article about “Ending Agile Guilt” that expressed a common feeling many leaders have when their stand-ups start to go sideways. The feeling that they’ve failed. Failed to do it right, failed to get religion, failed to lead the team, failed at agile and a big over-all sinking feeling that they’re just not worthy. Fact: The process is an artifact that doesn’t matter. The truth is that the specific process you use doesn’t matter if your team is meeting their goals. And if the stand-up you’ve tried isn’t helping the team find issues faster or work better together, then you should change it. Remember, at its core, the stand-up as we know it today is rooted in the agile values and beliefs, as expressed by the Agile manifesto. The Agile Manifesto describes a value-centered rather than practice-centered approach to coordinating work. The stand-up is a practice intended to provide a structured way for teams to express these values in their work. Specifically, the stand-up gives teams a practical way to focus on “individuals and interactions” and quickly “responding to change”. These practices are important, for sure. Without a process in place, a team cannot efficiently coordinate their work, and there’s no way to readily see what best helps the group move work forward, or what needs to change. But deciding to use a stand-up isn’t like becoming vegan, where if you start chowing on a chicken dinner you’ve really strayed from the path. The stand-up can and should be adapted to best fit with what each team and project need to find issues quickly and keep focused on their goals. Stand-ups are useful for any team working to aggressively meet their work goals, not just for software developers. Stand-ups are not simply status reporting meetings; they’re problem finding meetings. There are many ways to run a stand-up meeting. You can and should change how you run stand-ups to fit your team and goals. What other misconceptions about stand-ups have you seen? And what advice would you give to those considering adding a stand-up to their team’s daily practice? Let us know in the comments here or on Twitter, #bettermeetings. Fast, structured, and to-the-point, the agile stand-up is meant to keep a team fully in-synch on fast moving projects. The Daily Huddle is designed to make sure day-to-day operations run efficiently. This meeting covers who’s doing what today, where they’re stuck, and any opportunities they can share.